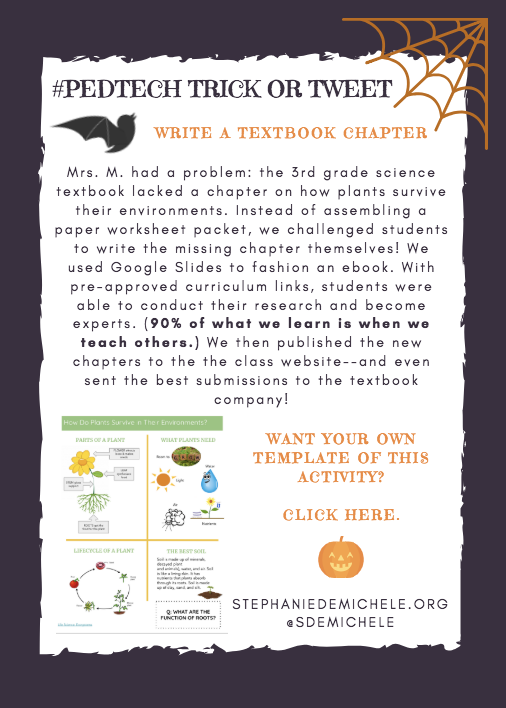 Every Wednesday in October, I'm sharing one of my most popular DIGITAL DESIGN STRATEGIES for you to use in your own classroom. Let me know what you think of these free resources, and please share with your colleagues. Any questions? Contact me! Click directly on the image below to get your own template copy. 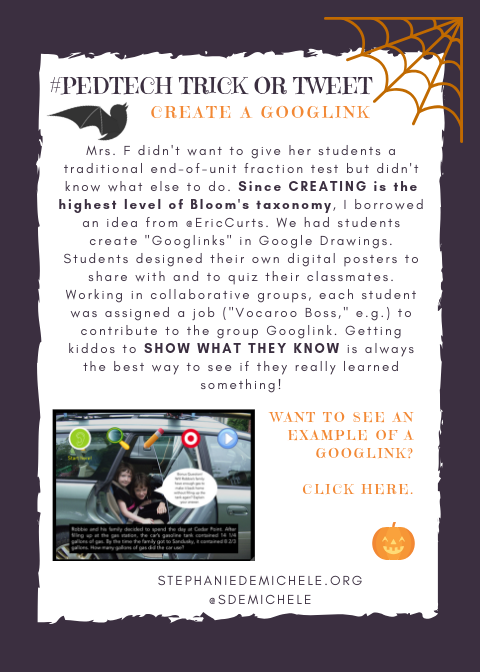 Click directly on the image below to view a Googlink in action.